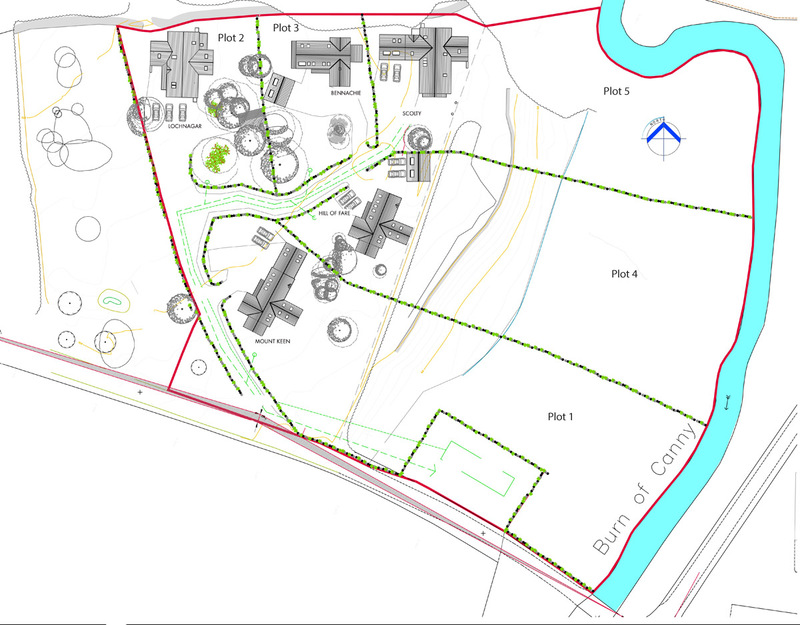 Plot with planning permission for 6 bedroom dwellhouse, when completed will comprise: Ground flr: Hall. Kitch/Dining rm/Garden rm on open plan. Living rm. Bdrm. Bathrm. Utility rm/boot rm. 1st flr: 5 Bdrms. 4 with ensuite & 1 with Dressing area. Garage. Fixed price £275,000 Entry by arr. Viewing contact solicitors. 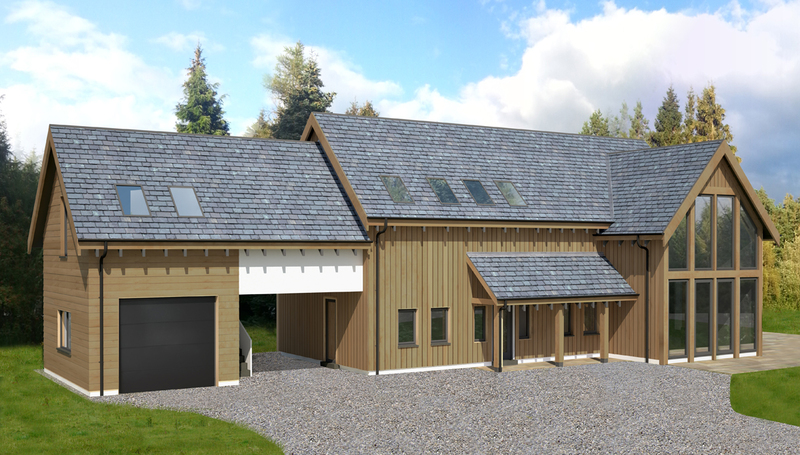 One of a development of 5 plots, available for purchase as a finished house or as a plot allowing a purchaser to be more involved in the building process. The dwellinghouses have been designed by award-winning practice Annie Kenyon Architects who are based in rural Aberdeenshire. 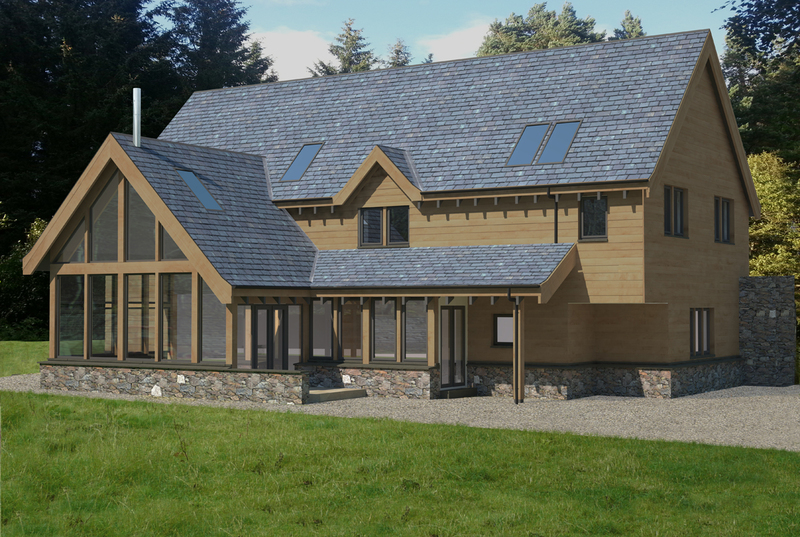 The practice endeavours to use locally sourced traditional materials whenever possible and promotes the use of renewable energy systems in both restoration and new-build projects. 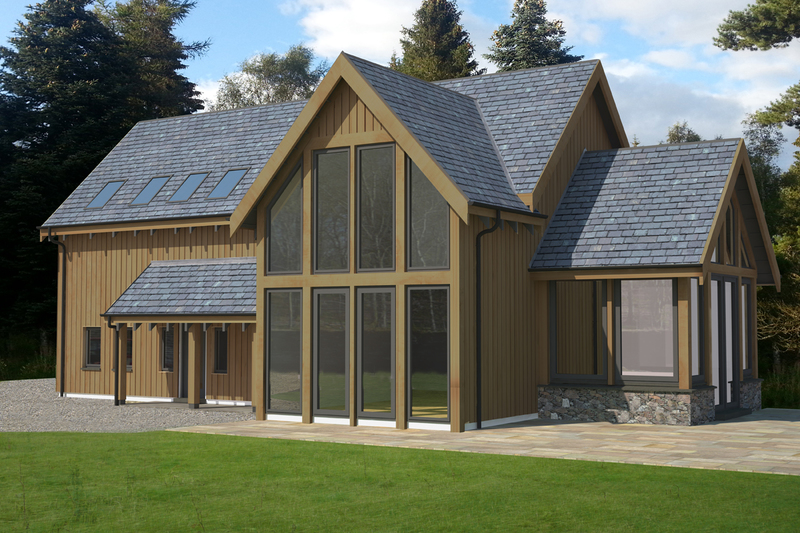 It is proposed to use a simple palette of natural materials including slate, dry-stone walling, pale wet-dash render, home-grown timber cladding and painted timber windows and doors. Garden rooms, or even whole dwellings, can feature solid timber framing in Oak or Douglas Fir. Boundaries will be elegantly landscaped and planted to age gracefully and screen neighbouring properties without the need for tall fences. It is intended that the finished dwellinghouses within the development are environmentally friendly. Furthermore, the houses are to be super-insulated with low “U” values well beyond that required by current building standards, possibly incorporating solar panels to the garage roof areas depending on specification. Notwithstanding the orientation of the properties, a southerly aspect is provided to all five properties. None of the properties are overshadowed and all plots have fine views over the surrounding countryside to the hills beyond. 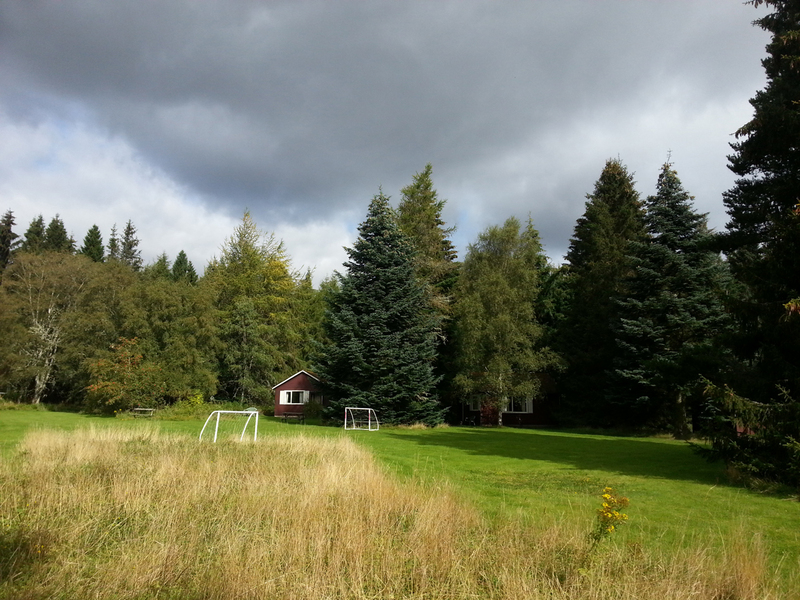 The plots will be well screened naturally from each other and surrounding properties. Courtyards are to be formed between the garages and houses with covered entrances and shelter from any winds. 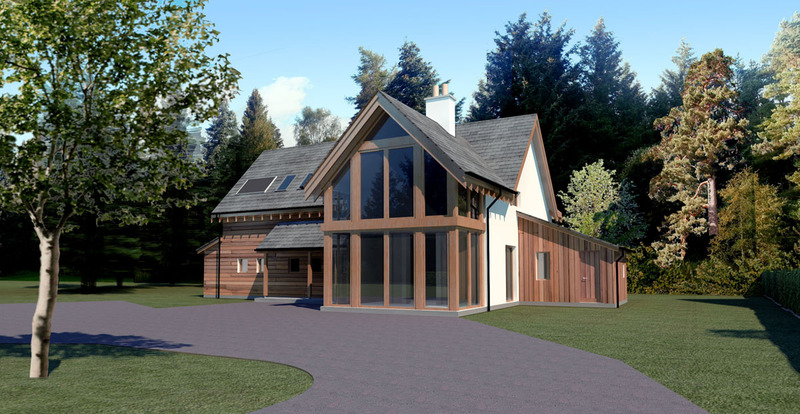 This exclusive development situated just outside Banchory offers a unique opportunity to purchase a contemporary, sustainable home in the heart of Royal Deeside. Woodend of Glassel consists of five generous plots, each individually positioned to benefit from wonderful views over mature countryside and woodland, with natural boundaries being provided by existing trees. Three plots have the added feature of waterside frontage to the Canny Burn. Luxury living around a rural lifestyle is on offer here, and within the backdrop of mature trees a variety of wildlife can be found, including roe deer and red squirrels, woodpeckers and red kites, whilst herons, grey wagtails and dippers can be spotted on the banks of the burn. Torphins an equal distance to the west. This is an area of tangible prosperity, linked to the oil industry in Aberdeen, and more recently the renewables industry, and the thriving city of Aberdeen is within easy commuting distance of Glassel, particularly the new business parks of Westhill and Kingswells. Well designed, timeless dwellings reflecting the traditional architecture of the area, yet reinterpreted in a contemporary manner have been created. A mix of natural slate, timber cladding and drystone walling, alongside elegant landscaping fits the location and has resulted in a development of individual new homes, with a real sense of place. 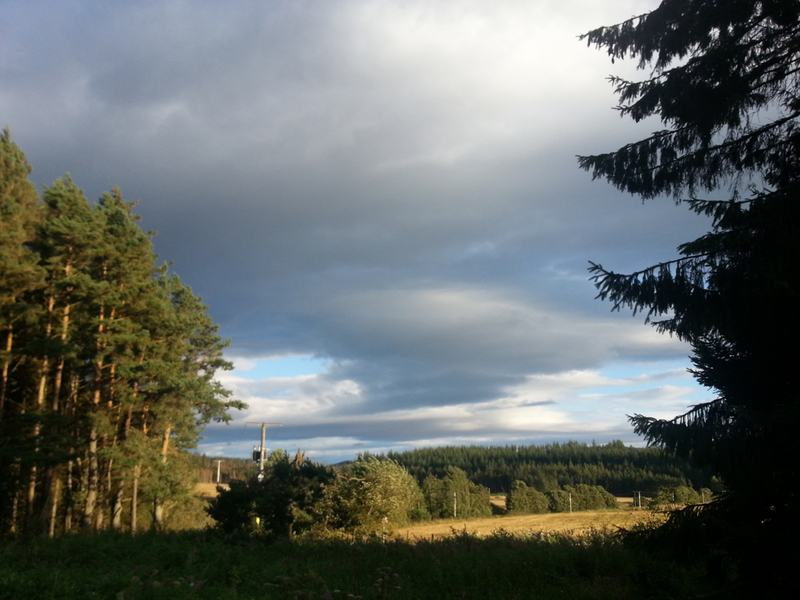 Woodend of Glassel is a beautiful area of Deeside situated 3.5 miles south east of Torphins and 3 miles north west of Banchory with panoramic views over the surrounding countryside to the south and bounded by the Canny Burn to the East. The picturesque town of Banchory, on the banks of the River Dee, and just 17 miles west of Aberdeen, has a comprehensive range of facilities and amenities, including both local and national shops, a monthly Farmers Market, and several top class hotels, restaurants and coffee shops. The town is served by two primary schools and a secondary school, all with excellent reputations, and the Academy incorporates community facilities, sports facilities and a swimming pool. The leading multi-arts centre of the North East, Woodend Barn, is situated to the east of Banchory, adjacent to the new Tesco store, celebrating and showcasing all art forms, alongside Buchanans Bistro, where honest, thoughtful food is served in a restorative environment. Banchory has two great golf courses and a driving range, and many other local outdoor leisure pursuits are readily available in the area, notably fishing, horse riding, hill walking, mountain biking, gliding, canoeing, shooting, and in winter, skiing and snow boarding. Watch salmon leaping up the Falls at the Bridge of Feugh, or take a hike up Scolty Hill for fantastic views over Banchory. 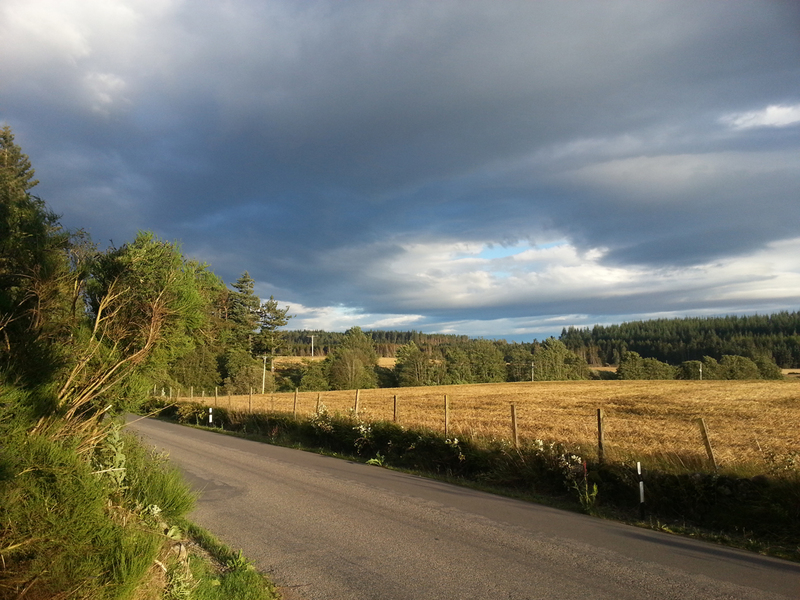 Follow the Castle Trail, visiting the majestic fairy-tale castles at Crathes, Drum and Craigievar and drive through the historic villages of Aboyne, Ballater and Braemar, all renowned for their Highland Games. Banchory benefits from an excellent public transport service both to Aberdeen and up the Dee Valley, with regular buses passing Woodend of Glassel. Within half an hour’s drive the City of Aberdeen provides a vibrant centre for shopping, eating out, entertainment and culture. Several shopping centres, two universities, theatres, concert halls and a fun beach packed with entertainment offer a wealth of different pursuits for all the family. Should you choose to make your home at Woodend of Glassel, a short drive will leave the bustle of the city behind and bring you back to your idyllic lifestyle in the heart of Royal Deeside. A modern take on the traditional grand country farmhouse or manse, this 5 bedroom family home offers generous south facing, double height living accommodation, with fine southerly views to mature trees and attractive countryside beyond. 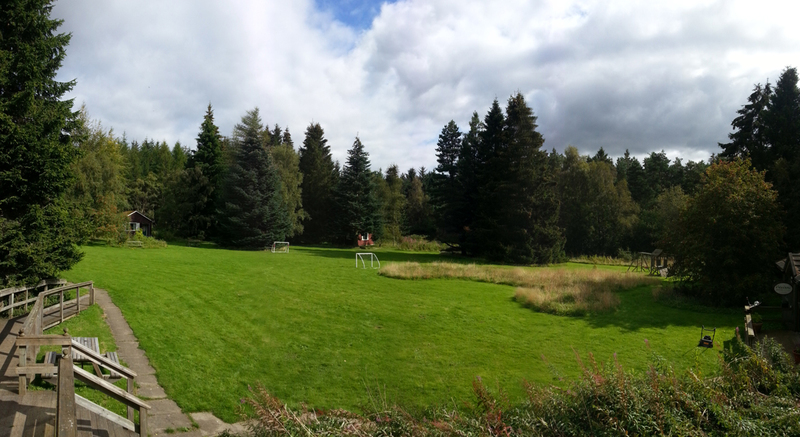 The plot extends down to the Canny Burn offering mature countryside living.